Ravi has been the CEO/Chairman of four companies in Tata Group in India. 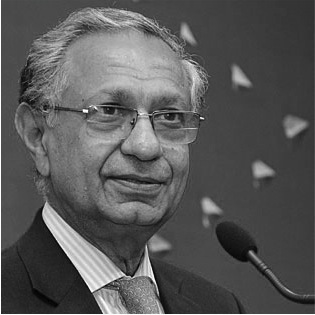 He is the founder Chairman of CeNext Consulting and Investment in New Delhi. He has worked with several Fortune 1000 corporations and numerous Indian business groups. He has been an advisor to the governments of Switzerland, Turkey, Brazil and Norway and multilateral organisations such as the World Bank. He is a fellow at the World Business Academy, and plays an active role at EVIAN Brains Trust on Fair Global Trade at IMD Lausanne; the EthicMark® Judges Panel; the Advisory Committee L’avenir d’Auroville; Future 500 USA and the Federation of Indian Chambers of Commerce and Industry, amongst others.